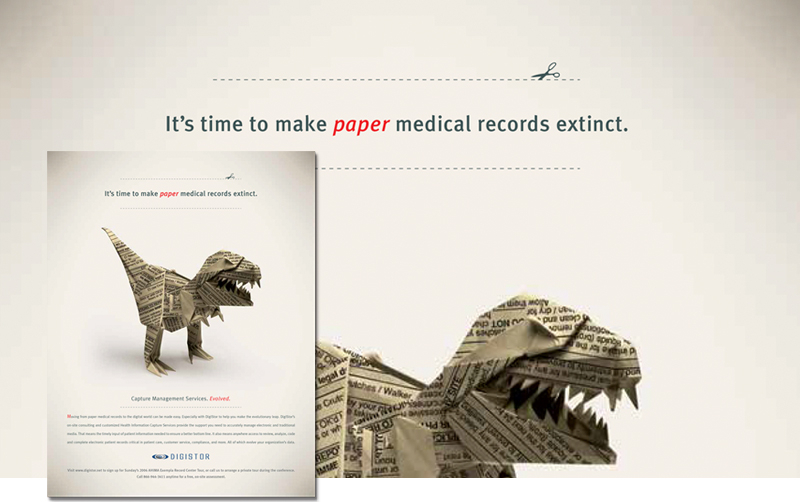 Digistor digitizes medical records, eliminating the need for paper files. 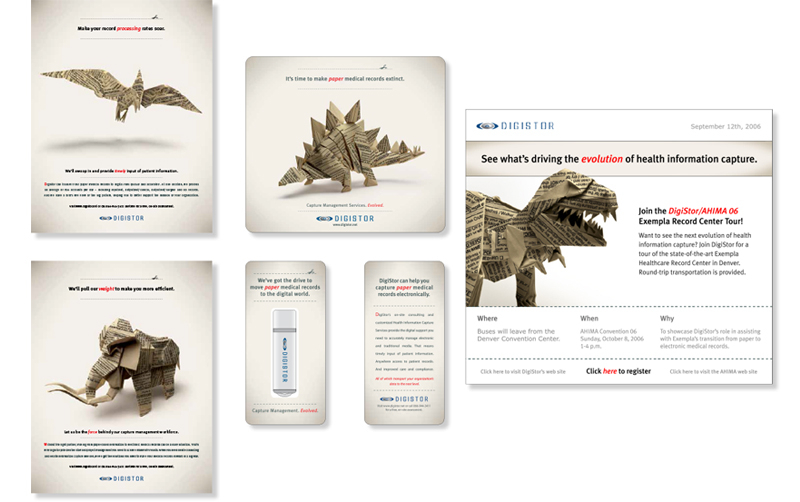 This B2B campaign cleverly sends the message that Digistor can make paper medical records extinct through the use of origami dinosaurs. The ad series focuses on different attributes of Digistor’s services, and the tradeshow materials extend the theme. The campaign won a Gold ADDY.